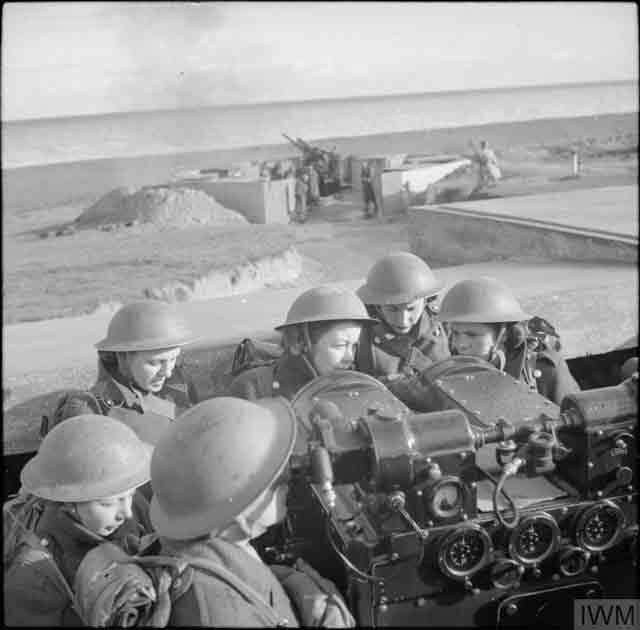 "ATS women operate a rangefinder at the anti-aircraft training camp at Weybourne in Norfolk, 23 October 1941. 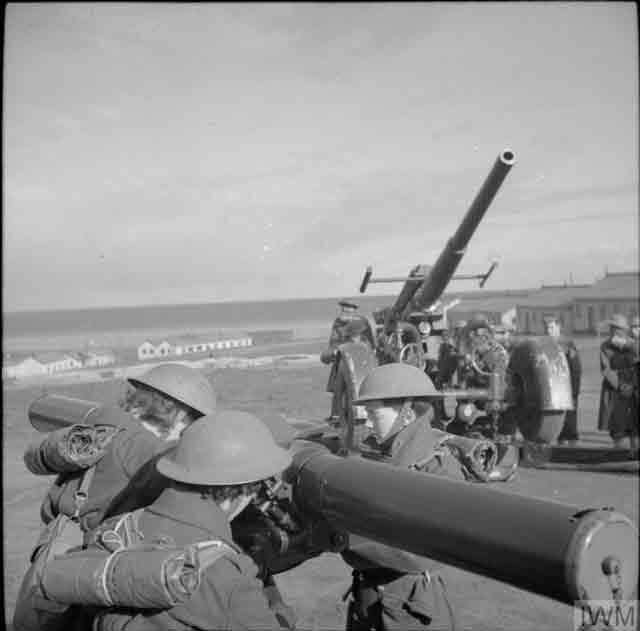 A mobile 3.7-inch gun can be seen in the background." © IWM (H 14985). Holocaust: There are many massacres during World War II, and all of them are horrible. However, certain incidents stand out in stark relief for taking barbarity to a new level. On 23 October 1941, events play out in Odessa which remaining stunning in the depth of their violence and depravity. This is the Odessa Massacre. A Matilda tank of the 49th Royal Tank Regiment advances through a smoke screen during an exercise near Dover, 23 October 1941. © IWM (H 14960). After the Red Army abandoned Odessa on the night of 15 October and Romanian troops entered it on 16 October 1941 after a 73-day siege, things temporarily settled down in the large seaport. However, before the boarded ships and left, the Soviet troops set explosives in a large building on Marazlievskaya Street which they had used as the headquarters of the NKVD (Soviet state security service, similar to the Gestapo). Other retreating Soviet troops had done this elsewhere previously, most notably in Kiev, but the Romanians either did not suspect there might be booby traps, or they did not check carefully enough for them. On 22 October, a full week after the Soviets departed, the Soviets detonated the mine (either through a time-delay fuse or by radio signal) in the Marazlievskaya building and a massive explosion leveled it. The blast killed 67 people, including the Romanian Major General Ion Glogojanu, commander of the Romanian 10th Division, and 51 of his staff. Among the dead were four German Kriegsmarine officers, 35 soldiers, 16 officers, and nine civilians. The occupying authorities - those that survive - are furious. "ATS women operate a predictor at the anti-aircraft training camp at Weybourne in Norfolk, 23 October 1941. A 3.7-inch gun can be seen in the background." © IWM (H 14972). Military Command of the mountains. Odessa brings to the attention of the population of Odessa and its surroundings that after the terrorist act committed against the Military Command on October 22, on the day of October 23, 1941, were shot: for every German or Romanian officer and civilian official 200 Bolsheviks, and for every German or Romanian soldier 100 Bolsheviks. Taken hostage, which, if repeated such acts, will be shot together with their families. However, what transpired as a result far exceeded these totals. 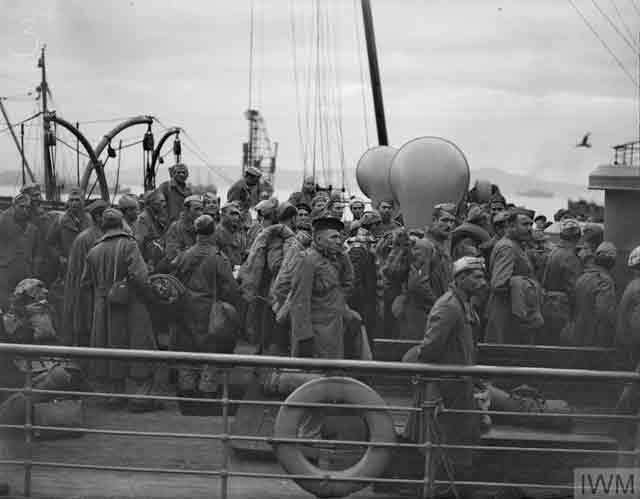 "Italian prisoners of war on deck with their kit waiting to disembark at Greenock." These POWs arriving at Greenock are to be used to do farm work. 23 October 1941. 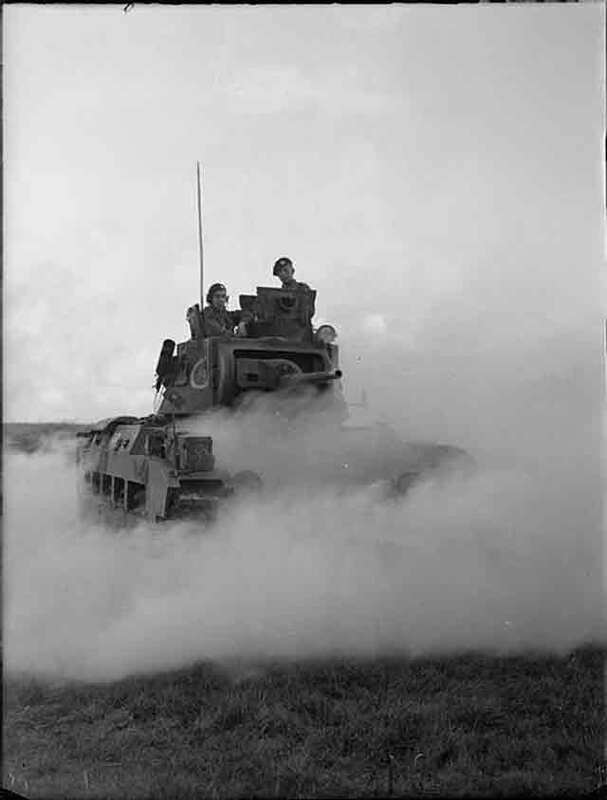 © IWM (A 6210). The next phase of horror begins on 23 October 1941. A German SS Einsatzgruppe arrives at the destroyed Marazlievskaya building, survey the damage along with Romanian security troops, and they immediately set to work. The troops simply walk across the street to an apartment building, drag all the residents out, and shoot or hang all of them. Then, they raid nearby streets and markets before heading out into the suburbs and executing everyone that they find. A reported hundred men are shot at the Big Fountain, about 200 at the Slobodka market, 251 in Moldavanka, 400 are hanged in Aleksandrovsky Prospekt - the carnage is everywhere. Some hostages are marched down Lustdorf Road to an industrial area, where they are shot or burned alive. 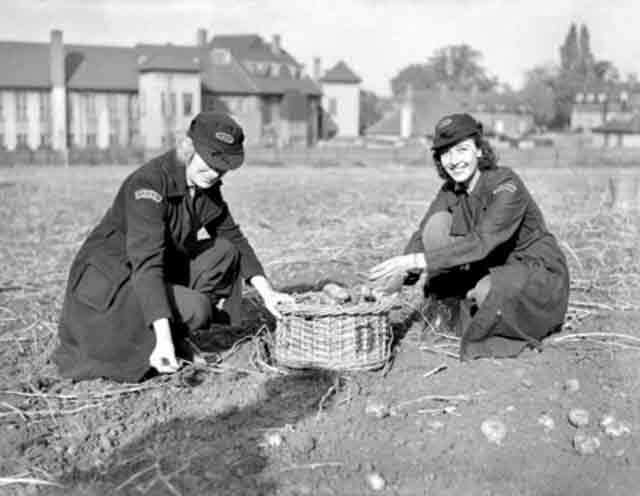 "Mrs. John Steel, daughter of Sir Bernard Spilsbury, the pathologist, is now digging potatoes at the request of the LCC An ambulance driver, Mrs. Steel is spending her spare time on potato digging with several other of her colleagues in the London Auxiliary Ambulance Service, at an LCC hospital in Essex." 23 October 1941. © SSPL / Pastpix / Science & Society Picture Library Image Ref. 10551683. In addition to this first rampage, the Odessa city government issues an order on 23 October 1941 requiring all people of Jewish descent to report to the village of Dalnik on 24 October. The penalty for non-compliance is death. The killings continue. The total number of deaths in this incident is unknown, but 22,000 bodies are found in a mass grave after the war. It is estimated that the city loses 10% of its population in the Odessa Massacre. While many different dates are submitted for the start of the Holocaust, 23 October 1941 is a good candidate. 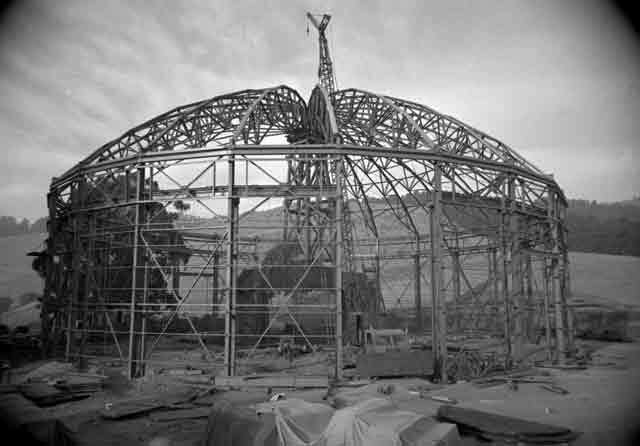 The framework of the184-inch cyclotron facility taken October 23, 1941. This was at the Berkeley Lab in California, a key component of the subsequent Manhattan Project. Principal Investigator/Project: Image Library Project [Photographer: Donald Cooksey]. U.S. National Archives.